There is a certain charm about a bow tie. It feels classic, stylish and a little daring. 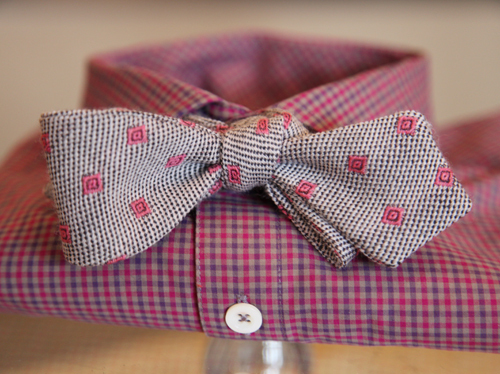 The Billy Reid bow ties rank among my favorite as they exemplify great Southern style. What I most appreciate is how the Billy Reid folks find incredible fabrics and make only as many ties as each fabric will allow. So, as Atlanta's Director, Kendall Stowell shared, "Your Billy Reid bow tie is very close to being one of a kind." Kendall educated me on the three types of bow ties they carry. From top left, the point, the traditional and the skinny. 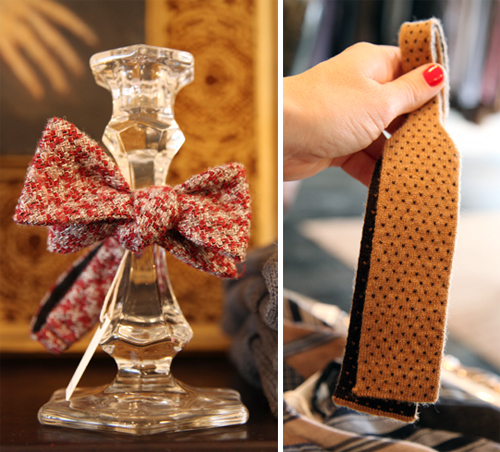 If it's your first time wearing a bow tie, Kendall recommends you go with the traditional. The skinny tie works better if you're, well... skinny. The point offers an asymmetrical bow which is a bit more playful. Tying a bow tie can be tricky, so when I was researching a good how-to, I found the best graphic over at the Bearings Guide blog. It's just one of those tasks that takes a bit of practice to get it just right. Gary Modlish from Billy Reid Atlanta was kind enough to showcase this how-to on my friend, Mykal. Slow and steady is the mantra to follow. Gary advises to "keep the progressing knot as taut as you can so that when it is completed, it finds its resting place secure over the top button of the shirt." The trickiest step appears to be near the end when one must create and find the 'black hole' to feed the second bow through. Gary, "It is probably the most challenging step, but once you get the feel of it, it makes perfect sense." Mykal and Gary show off their stylish looks. If you haven't been inside a Billy Reid store yet, you should make the effort. They offer beautifully made clothes and accessories for both men and women. Plus, each store has incredible decor that exudes a manly, Southern charm. 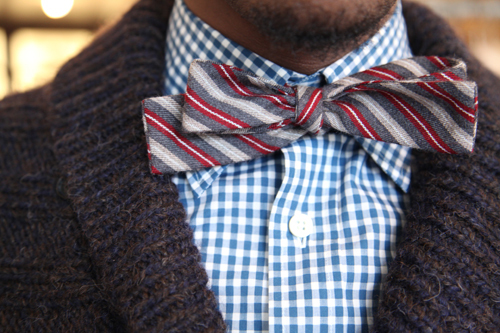 Bow ties make for a fun and unexpected holiday gift as they aren't just for the preppy boys anymore. 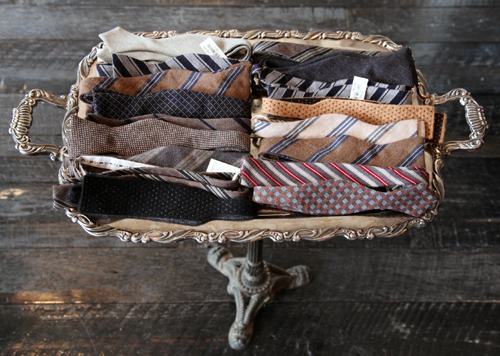 These ties range in price from $95-$125 and can be dressed up or down, worn with a vest or sweater. Kendall's best advice- "Just mix it up."